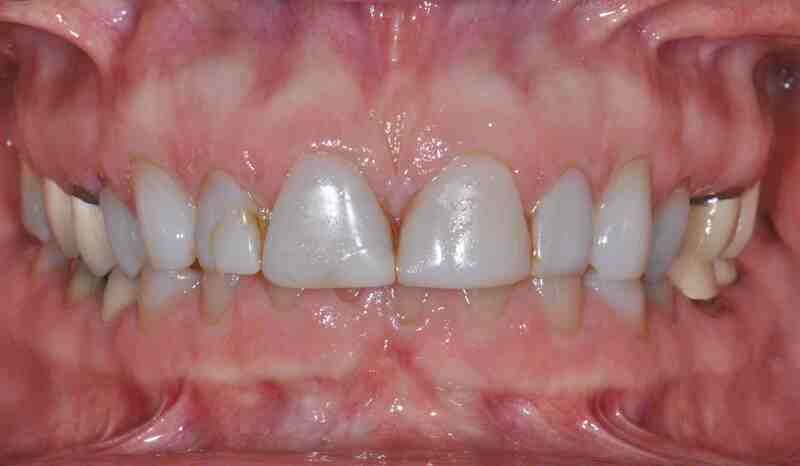 In the last week I have embarked on two separate restorative cases where the vertical dimension is being opened. I can remember when I was in dental school and first out in practice and I believed that altering someone’s vertical dimension of occlusion should never be altered. Since then I have come to understand more about the process and what the risks and the benefits are. The definition of Vertical Dimension of Occlusion is: a term used in dentistry to indicate the superior-inferior relationship of the maxilla and the mandible when the teeth are situated in maximum intercuspation. We measure the patient’s vertical dimension from a fixed skeletal reference on the maxilla to one on the mandible with their teeth together in their acquired bite. The common fears of opening vertical are that the patient will develop joint or muscle pain. Based on the scientific research their is very little risk of either of these happening. Another common risk is difficulty adapting to the new vertical and phonetic issues. When we open a patient;s vertical we do not want to consume all of their freeway space, and the change must be tested prior to making it in final restorations. Unfortunately, using a removable appliance is a poor way to test a patient’s ability to adapt to opening their vertical. A true test requires using direct composite overlays, or restorations or provisionals, something the patient can not remove and must function in all of the time. If challenges with phonetics or adaptation are encountered, the vertical or tooth contacts must be corrected to alleviate them. The last risk is that the change will not be long lasting and the vertical will return to it’s previous amount through tooth movement or osseous adaptation. This risk is often does not have an impact on the function or esthetics of the patient so is not clinically relevant. One way to manage this risk is to follow the patient in their provisional restorations for 6-9 months prior to completing the case. Opening vertical dimension of occlusion for me occurs for two primary reasons. The first is restorative clearance. When working with patients with severe wear, multi-level occlusal planes and insufficient tooth structure for restorations opening the vertical can simply their treatment, reduce the risks of restoration and correct function and esthetics. Another common reason I consider opening the vertical is to correct upper anterior esthetics and add tooth length while being able to maintain of shallow the inter-incisal angle or anterior guidance to reduce functional risks. 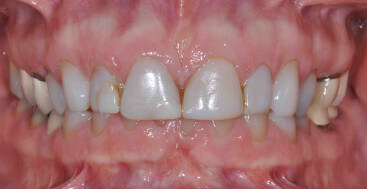 I am cautious about altering vertical, and do not utilize it unless it improves the potential outcome of a case, but I also do not shy away from considering it as a treatment option.. One thing to keep in mind when considering this option versus others like ortho or crown lengthening is the patient’s preferences and the number of teeth that will require restoration that do not need them for health, structural, esthetic or functional reasons. The necessity to increase vertical dimension is sometimes frought with challenging outcomes. While I don’t shy away from increasing the veritical for the same reasons you stated, I am very cautious about my patient selection and the provisionalitation phase in order to minimize associated risk so that my final results will not lead to unanticipated outcomes. Even so, the care I take in my selection and treatment process does not guarantee against adverse outcomes. Perhaps you have come across the two most common sequelae from opening the vertical dimension utilizing a hinge axis reference position: 1)The development of an anterior open bite and 2)Delayed anterior fremitus leading to excessive occlusal adjustments in the anterior component or worse, splaying and/or breakage of the new restorations. Patient selection is very important when considering increasing the vertical dimension. One group where I have had great success is the “universal bruxer.” I have had few painful outcomes and minimal stress related restorative failures. This is particularly true in the male population. The operative word here, however, should be “few.” I always prepare the patient in advance for this potential eventuality. On the other hand, the probability of delayed anterior fremitus and even breakage of the resotorations from required excessive occlusal adjustments is more concerning to me. Even with superlative, trouble-free, long-term provisionals which will serve as a template for the desired final result, can give rise to this phenomenon after the final restorations are delivered, leading to the perplexing question as to “why did this happen?” I wonder how many times this has happened to you or dentists who follow the protocols they expect to result in clinical successes, only to be confronted by the frustrations of adverse outcomes? Certainly, it has happened to me! The anticipated percentage of the patient population who may develop these post-treatment phenomenon can range from 3-15% depending on the skew of your patient population. 1. What is the role of occlusion, particularly the second molar, in the articulation of the TMJ? 2. When and where is the TMJ loaded? 3. When and where is the TMJ unloaded? 4. What is the correlation between EMG, bite force, muscle force, joint loads, and joint stability? 5. What is the composition of EMG? 6. How does the composition of EMG confer the properties of joint load? 7. Is low EMG associated with reduced muscle forces and joint loads? 8. Is high EMG in the elevator muscles associated with neuromuscular incoordination? 9. What is the definition of neuromuscular incoordination? 10. How does the occlusal scheme relate to joint loads? 11. How do we explain the difference between working and non-working side EMG and joint loads? 12. How does the EMG differential correlate with TM joint disorders? 13. How do we explain degenerative joint disorders and relate them to vulnerable malocclusions based upon EMG and occlusal schemes? 14. Why can appliances create an anterior open bite? 15. What is the role of long centric in joint kinematics and joint loads? 16. What is the differential role of the condyles during jaw movement? 17. What are the posterior determinants of occlusion? 18. How can the second molar dilemma be explained in terms of these principles? 19. Why does the frequency of CR/MIP differential displacement values approach 100%? 20. Why are the condyles down and back from CR in most studies, but almost always below CR? 21. Why did nature make so many mistakes? 22. HOW DOES VERTICAL DIMENSION RELATE TO JOINT LOADS, MUSCLE FORCES, STABILITY, EMG, ULTIMATE JOINT POSITION AND NUTRITION FOR THE TM JOINT? Dr. Gottesman – thank you very much for your insight into this topic. The goal of my blog is to provide a review of my clinical experience and training and highlight the topics that top of mind for me. I certainly understand the limits of my experience and training and appreciate that your views may be unique and may even conflict with my own. Again, I appreciate your insights and thank you for the exchange of ideas/thoughts. Thank you for your replies on the two blogs where I submitted commentary. You do a great job with your blog and provide a valuable professional service. I hope to meet you in the future, perhaps when we cross during speaking engagements.